I love the soft colors in the Pion Design papers, and the touch of vintage. 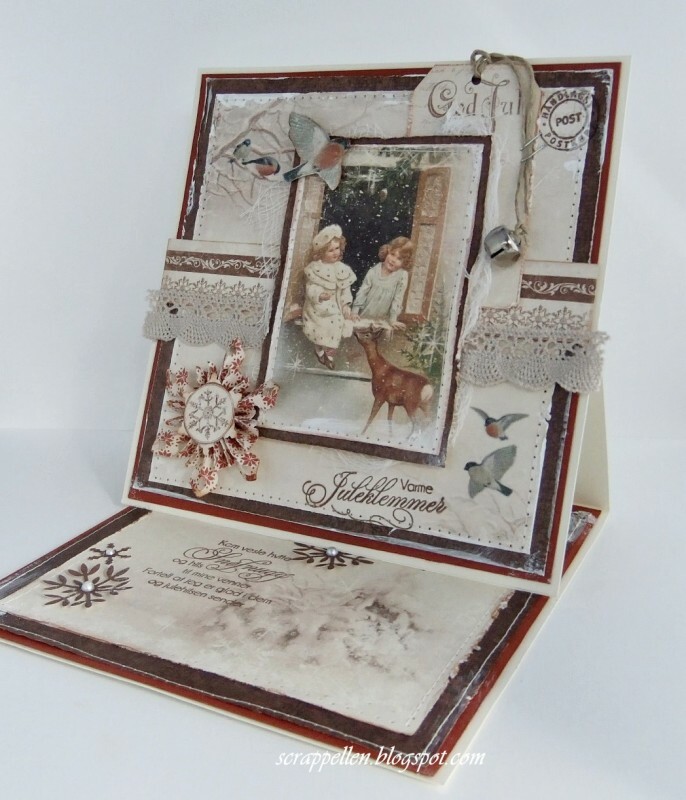 I’ve made a easel card with the red and brown shades of Wintertime in Swedish Lapland, and I love them all! All the edges are distressed and painted with some Gesso,.